There is no party like this anywhere in the world. It starts at dusk and carries on till dawn the next day. This wild night of partying started on Haad Rin beach area of Koh Pha-Ngan. It started in 1980's when tourists looking for calmer beaches of Thailand away from the bustling Koh Samui stumbled upon this concept. A group of about 20 tourists partied the night away under full moon's light and soon the word spread to make it into one of the biggest monthly fixtures of Southeast Asia. 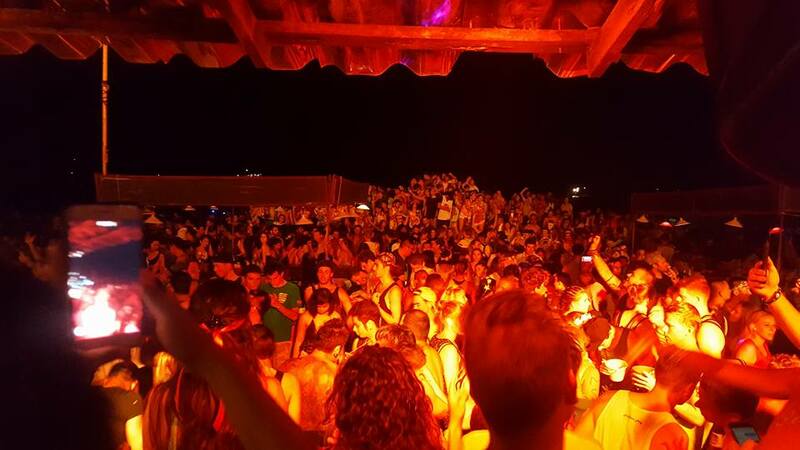 Every club on the Haad Rin beach is buzzing with revellers on the day of full moon party. On any such night, close to 30,000 tourists descend on this quaint space from across the globe. It is a haven for electronic music lovers as they hop from pub to pub to enjoy their favourite genres. Check the dates for Full Moon Party in advance. You can plan your Thailand vacation in such a way that it coincides with that date. Catch a ferry from Koh Samui and head to Haad Rin area. If you are an EDM lover, this is one vibe you must experience.